Dear Dr. Surrey, how can we possibly thank you for helping to make our dreams come true? Little is everything we ever wanted, and more. Thank you so much for all your care, support and expertise. You and your staff are truly wonderful! We're looking forward to working with you on Baby #2. Dr. Ghadir, first and foremost, regardless of the outcome of this cycle...I just wanted you to know that I am extremely THANKFUL for the way you took good care of me this cycle! This journey has been a difficult one, however, I am 100% sure I have chosen the best doctor for me! It is always a joy to see you because you always have the "the jokes"...but above all you are extremely knowledegable and professional. Thank you for everything thus far, and I am sure one day I will come visit you with a bambino in a stroller!! Dear Dr. Surrey and Staff, we will be forever grateful to SCRC for having finally achieved our long sought-after dream. Having been through 3 other clinics, we walked into SCRC with quite a bit of trepidation. The entire staff treated us with professionalism, competency and compassion. Thank you for everything! Dr. Danzer and his incredible staff at Southern California Reproductive Center made the birth of our daughter possible. I was over 45 years old at the time my husband and I had our initial consultation with Dr. Danzer. I had never been pregnant, and had been using various methods of birth control for most of my adult life. After our consultation, I underwent numerous tests at SCRC. My husband and I had several very thoughtful discussions with Dr. Danzer concerning various physiological, medical, psychological, age and pregnancy-related issues and statistics, the condition of my health, and related moral issues. Those discussions included talking in-depth about IVF and possibly utilizing an egg donor. We ended up making an informed decision to proceed with the egg donor process. Dr. Danzer referred us to a highly regarded egg donor agency. After much diligent work and follow-up on our part, we found our “perfect” donor. The kindness, care and attention we received from Dr. Danzer and his staff throughout the process was outstanding. My pregnancy went a few days shy of full term and we had a great birth. Our fantastic baby was incredibly healthy at birth and has thrived to become a fabulous and fun child. We had a very positive outcome with the egg donor procedure due to the exceptional level of professionalism, clinical excellence and expertise of Dr. Danzer and his staff. Everyone was consistently kind and compassionate, providing soothing, nurturing comfort and support throughout the entire egg donor/IVF process. We were kept informed; Dr. Danzer and his staff were extremely responsive and our questions were always answered in a timely manner. Choosing to use an egg donor to become pregnant was a profound, exciting and life altering experience for us. It is not for everyone. However, if years pass and pregnancy does not happen naturally, and if IVF fails repeatedly, I would strongly encourage couples to consider using an egg donor and working with Dr. Danzer and his fabulous team. Dear Dr. Danzer, Markus and I had a beautiful baby boy on December 19, 2011. Thank you so much for this amazing gift. You are an angel. Dear Dr. Chang, our deepest thanks for the biggest gift anyone could ever give us! And thank you for your thoughtful, detailed responses to my many questions. I truly appreciate the opportunity to work with you and we will always remember this special moment and what an extraordinary part you played in it. Dearest Dr. Ghadir, it's hard to believe it's happening, but it feels more real every moment. I think back on that day in June '09 when we walked into your office completely devastated and resigned to coming to terms with the fact we wouldn't be able to have the family we had dreamed of. Even adoption was not a reality at the time. I don't think I ever told you this, but on that day we really didn't want to come into your office. We figured that unless you had a baby in the back, we didn't see any reason to be there. We were out of money and hope. Little did we know, in essence, you DID have a "baby in the back" - 13 embryos to be donated. You've been confident and strong from the beginning, which has been an enormous source of strength for me though I've tried not to call upon it too much. This science in helping couples have children seems more of an art to me. You have to juggle so much at the same time. Thank you for listening to me, taking my emotions seriously, reassuring me and not giving up on me or my body. Even when I had given up, you still saw possibilities. I think you are brilliantly talented and I feel that you really care, which again helps me to feel strong and positive. No matter what happens I want to tell you how much this opportunity means to Dave and me. It's a chance, maybe even a long shot, but at least we get to take it. I feel good and my body feels on board...on the same page. When it comes time to do the transfer, there is not one doctor in the world that I'd rather have by my side than you, Dr. Ghadir. You're my Obi-Wan Kenobi! Dear Dr. Ghadir, while this letter is very long overdue, the sentiments Ryan and I have for all you have done for us remain the same. We cannot thank you enough for helping us get pregnant - not with one, but two babies! When we started this journey, we didn't know what to expect. We were saddened by our struggles of not being able to create a baby on our own and at times felt desperate that it may not happen. At the same time, we were hopeful that you would be able to provide us the family we longed for. After meeting with you in our consultation visit, we found the optimism that this would happen for us. The process was definitely a lot more challenging than we expected, but your confidence in and dedication to getting us pregnant helped us make it through. We wouldn't be anxiously awaiting the arrival of our two boys were it not for you. We are forever grateful for what you have given us. There aren't words that could truly express the gratitude we have for you. We also have to thank your entire staff for everything they did for us, especially Maria. She was amazing through this process. She was patient with all of our questions and provided the guidance and support I personally needed as we made our way through our fertility struggle. I have never had an experience at a doctor's office where I felt so genuinely cared for by everyone. It was bittersweet leaving the office for the last time because I knew that I would genuinely miss everyone there. While we would never wish our experience on any couple, Ryan and I would have no hesitation in recommending you if we knew they were in need of fertility help. One of the most frustrating things for us going through infertility was the sheer fact that people don't talk about it and we didn't know why this was happening to us or what our options were. You were right there with us through the entire process and provided all of the guidance and information we needed in making the decisions of how we wanted to proceed with our journey. Infertility is a very personal thing and we felt completely comfortable being in your hands. We know you would treat all patients with the same respect and provide them with the same guidance and support you gave to us. Thank you again for helping us achieve the family we always knew we were meant to have. While these babies are 50% me and 50% Ryan, you are still a very big part of their existence and that will never be forgotten. Amazing! We have been through so much in our fertility journey. Dr. Danzer and his team have been wonderful and supportive throughout all of the ups and downs. We have our beautiful baby boy because of his expertise in our treatment. We are now trying again! Once again, we have been extremely impressed with the compassion and kindness with which we have been treated. We flew across the country because our friends raved about Dr. Danzer and it has been worth all of the extra hassle and expense because the whole team is nothing short of outstanding. We continue to be so grateful to Dr. Danzer and pray for a successful outcome to our current round of treatment. My three and a half year old was "made" by Dr. Chang and between the nurses, my frantic calls and Raul (who took vials of blood), I never doubted that everyone was doing their very best for me. We are now trying for a second baby and the team is now even better. I have called, emailed and have always gotten the support needed. And Wendy Chang? Funny on top of being brilliant and compassionate. Praises for her team. I cannot say enough about Dr. Danzer and his team. Not only are they kind and efficient, they really stick with you. They know you. They support you. They are nothing short of amazing. Dr. Danzer was the 4th fertility doctor I had seen. By this time, I had lots of experience with the process and protocols. Dr. Danzer was exceptional! His overall demeanor is calming. But his depth of knowledge was what sold him. His approach is very case by case as opposed to rigid thinking (i.e. "all my patients do this and we have these stats"). This approach is critical as each person's body reacts uniquely. His open-mindedness and experience made him the best doctor I've had. And we got pregnant with him on second try at age 43.5 years old. We came to Dr. Chang with the feeling of defeat after meeting with so many doctors in New York. We had just moved to Los Angeles and we’re starting to feel like a baby was not in our future. That was until we met Dr. Chang. She literally changed our lives. She brought so much positivity and hope into our lives. I never had a doctor who would actually spend so much time with me to answer my questions and go through the process in such detail. She combed through my history and blood work with such detail, it was amazing. She found a few issues that the many doctors I had seen previously never noticed. All along while trying to solve this arduous puzzle, Dr. Chang, was always kind, patient, and above all sensitive to the emotional tolling situation at hand. Same goes for her staff. I truly felt like I was in the best hands. I wish she could be my doctor for everything. I would and do recommend her to anyone who comes to me with a fertility issue. She is the best. Christmas is my favorite holiday. On Christmas Day in 2010, my husband and I decided to start a family. Two and a half years and two miscarriages later my husband and I came to Dr. Chang with broken hearts and despair. After my second miscarriage, one doctor had referred to my eggs as "old dusty eggs" and had said that he tells his daughters to "have their babies in their 20's." We first met Dr. Chang for a consultation in May 2013. I had been reluctant to see a fertility specialist because I was afraid to pump my body full of hormones and, frankly, I had lost faith in doctors. Meeting Dr. Chang was like a breath of fresh air. We were so impressed that she had taken the time to read all of my medical history before the consultation and even seemed to have it memorized! We left the office with a renewed hope that having a baby was possible. Now we are coming up on Christmas 2014, we have 3 stockings hanging over the fireplace this year, mommy, daddy and one for our 6 month old daughter, Hannah. Every day is like Christmas with Hannah in our lives. Our hearts are full and we have Dr. Chang to thank. Dr. Chang renewed our faith in doctors. She treated us with kindness and professionalism and always, always, always had a smile on her face. We looked forward to our visits with her and trusted her implicitly. She helped to ease our fears by being available to us literally 24/7. On many occasions I received emails from her late on a Saturday night answering my questions and calming my fears. I have recommended her to numerous friends and we will be calling upon her for help with baby number 2. There need to be more Dr. Chang's in the world! We love you, Dr. Chang! Dr. Chang was amazing throughout our entire process. She was always so calm and patient with us and took her time explaining every step we were going through and what we were to expect. Her and the entire staff were always so friendly and made us feel comfortable. Thanks to Dr. Chang, we now have a beautiful baby girl. Dr. Ghadir is the best! He made our dreams come true and we are forever grateful for him. He was so patient and explained every step of the process to us and made sure he answered all of our questions. He always made himself available to us outside of his work house in case we needed anything. I wish all doctors were as thorough, intelligent, patient and funny as Dr. Ghadir. If other doctors were as great as Dr. Ghadir then I wouldn't mind going to the doctor as much! Working with Dr. Ghadir was a wonderful experience. He walked me through every process making me extremely comfortable every step of the way. He along with his staff were on top of every detail until the end. They never missed a beat!! I would highly recommend Dr Ghadir to anyone thinking of going through this process. I'm forever grateful for the 4 healthy embryos that I have thanks to Dr. Surrey's expertise & knowledge. I know these are great results. His care & compassion during the process was also appreciated. I can't say enough about the caring staff, state of the art lab, and the operating team. It was such a pleasure to have the privilege of having Dr. Ghadir as my doctor through one of the most life changing processes. Both he and his staff were incredibly attentive to my every need every step of the way. He carried me through the whole process in the most professional manner while making me laugh at the same time! I am so grateful that Dr. Ghadir and his team were able to effortlessly make this difficult process such an easy and comfortable situation! Hearing the final phone call of "YOU ARE HAVING A BABY" was the most exciting news I have ever heard. And I thank Dr. Ghadir for making that possible. I think he is wonderful and I would highly recommend him to anyone who was interested in going through this process!!! Dr. Surrey and his complete team are truly amazing. They have made it possible for my husband I to become parents. Which has been the most amazing gift. They have all been understanding and caring during difficult times. They respond quickly and are all around a very dedicated group of people. Dr. Surrey is calm, confident and honest. He will always make time to talk to you even though he is often very busy. The nurses are exceptional. They care so much and it shows in the work they do each and every day. I can't say enough good things about Dr. Surrey and his team. I am forever grateful to all of them! Being a patient of Dr. Ghadir was more than I could have imagined...bedside manners were magnificent. I asked plenty of stupid questions but he thought there was no such thing and answered without any problems. He's very knowledgable and gave me every chance to become a mother again. The nurses are courteous and helpful...even the pheblomist, Raul, is the bomb. I couldn't have picked a better team to help me receive my bundle of joy. Thank you all! Dr. Ghadir is an amazing person. My experience was full of challenges. After my first IVF attempt, I had to have emergency surgery and was over 3 hours away - he was on the phone with my husband and the surgeon to help coordinate my care. On my second attempt, he personally called me to tell me that bad news. I could tell that he was very upset and at times I could tell he was holding back the tears. After that attempt I was completely spent. However, he convinced me to try one more time and he was right. Our beautiful William was born January 27, 2013. Dr. Ghadir is not just a doctor, he feels great joy in his patients' success. I have sent him updates on our wonderful baby boy and I always receive a personal response from him. I have worked with many doctors, but it is very rare to find one that cares so deeply for his patients. I have to say that from the moment I walked into Dr. Surrey's office I knew this was the place I was going to go with, I felt comfortable from the very beginning. Dr. Surrey gave me hope and by the end of my consultation I was so excited that I even hugged and kissed the doctor on the cheek, a little embarrassed but I was just so thrilled that there were options for my situation. Dr. Surrey explained all the different testing possible and I felt comfortable knowing the laboratories were one of the best. I went with the PGD testing to find chromosomally normal embryos because I have a balanced translocation. Well it took a few months of prepping and testing but they found some and I am now pregnant with twins. It has been a long road for my husband and I. We have a beautiful daughter who inherited an unbalanced Version which means she has learning difficulties, and now to know that we can bring her two children to play with and watch all of them learn from each other is my dream come true. I thank Dr. Surrey and his wonderful staff of nurses Maria, Laura, and Olivia which were also always there for all my questions and there was plenty of laughter. Thank you for helping me and my husband complete our family – thank you all so much you make miracles happen every day. Dr. Danzer has been my physician for two years. He taught me the excellence of having a baby. In truth, I wasn't ready to be pregnant yet. His incredible nurse team is very helpful, kind and listened to my story. I highly recommend Dr. Danzer and his great nurse team!! My experience has been amazing. Dr. Surrey is the best!!! So prepared, nice and friendly. He explains everything that you want to know and is so patient and nice. I always feel comfortable and secure with him and he gives me the time and the attention that I need. For me he is an angel in my life and I will never forget that he helped me to have a baby and be a mother again. He is a great person and the best doctor!!!! All the people working there are amazing. They have a gift. Everybody is nice and friendly. Dr. Surrey's team is the best that girls can be. With me all the time, through every question, every good and bad news, they understand me. They are more than nurses and doctors, so prepared. They are so human, they are perfect for this job. I will never forget my girls, my friends Olivia, Laura and Maria. They are my angels that will be with me always. Throughout the process, I never forgot that all the time I have my husband by my side and a specialist holding my hand, explaining to me and giving me good vibes. All the teams are amazing. I will never forget all the things that you do for me and my family. Thank you so much!!! After two long years, multiple invasive diagnostic procedures, and three heartbreaking unsuccessful IVF attempts at another clinic, we were ready to give up. That was until someone told us about Dr. Mark Surrey. We scheduled a consultation with Dr. Surrey and were impressed with his in depth knowledge and expertise. We decided to give it one more try. Having gone through the experience multiple times at the previous clinic, we noticed how Dr. Surrey's approach appeared to be uniquely different. His expertise, technique, and treatment recommendations were innovative and cutting edge. Thanks to Dr. Surrey and his attentive nursing staff, especially Olivia, we are now 8 weeks pregnant! I have read hundreds of reviews but have never written a review about anything until now. Our experience with Dr. Surrey and his nursing staff is so precious it needs to be shared with anyone hoping to achieve fertility success. Aubrey Morgan was was diagnosed with endometriosis and told by her doctor that she was infertile at age 20. 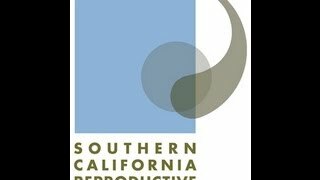 Not willing to accept that fate, Aubrey visited fertility specialist, Mark Surrey, M.D., co-founder and medical director of Southern California Reproductive Center, where she found a compassionate doctor and staff who understood the problem, made her feel comfortable and safe and reassured her. 请于下方输入验证码* 17 + 13 = ?